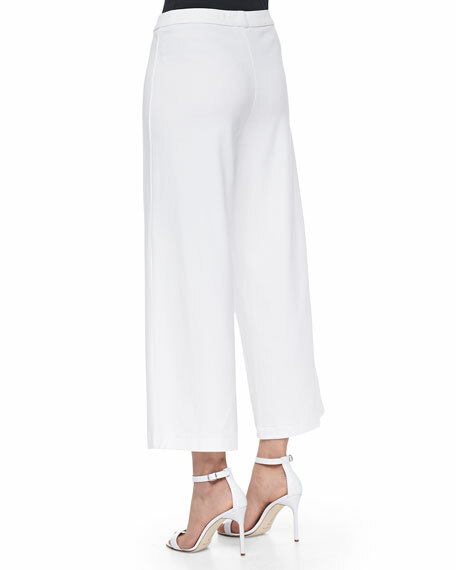 Joan Vass interlock knit pants. Approx. measurements: 9" front rise, 25" inseam, 34" outseam, 22" leg opening. For in-store inquiries, use sku #892444.